Maxilite Wheels For Porsche, Alfa Romeo and Mercedes! Headliners, Visors, Mirrors and More. Camshaft Lubrication, Tensioner Kits & Misc. Fuel Filter, Lines and Misc. Headliners, Sunvisors, Rear View Mirrors, etc. Interior Trim, Carpet, Sunvisors etc. Interior Trim, Carpet, Sun Visors etc. Paint and Restoration Chemicals and Consumables. 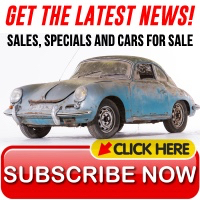 Classic cars, like the 356, were both simpler and more complex than modern machinery. 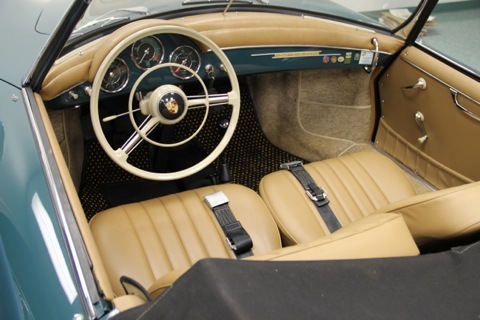 The interior, for example, was hand built by true craftsman—and as a result, very difficult to restore correctly. We've got thousands of interior parts to help you make your car perfect. Our carpet and upholstery sets use the best new materials that match the original look. NLA-522-751-00 Bungee Cord Hardware Kit, chrome hook chrome teardrop hook, and chrome slotted head screw. Fits all 356, 356A. © 2019 Stoddard NLA LLC. All Rights Reserved.